Posted by Telangana Utsav in Andhra, CharMinar, Congress, Culture, Economy, GHMC, Hyderabad, Identity, MIM, Mulki, Muslim, politics, Rayalaseema, Settler, Sonia, Telangana, TRS, universities, Y S Jagan. 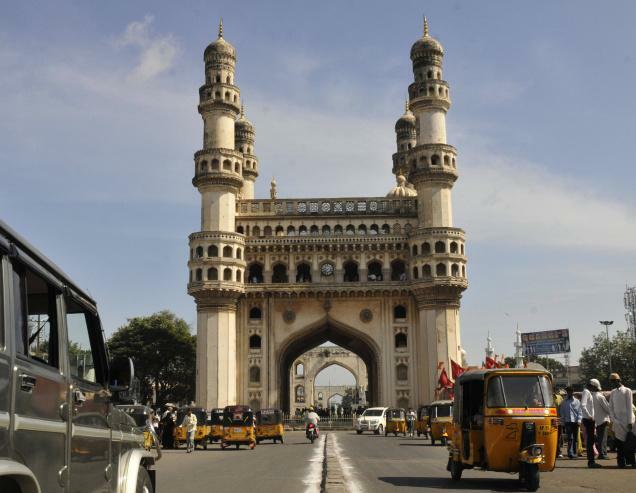 Where does a separate state for Telangana leave Hyderabad? Fifty years ago, as a young government officer, Narendra Luther remembers looking forward to going from Hyderabad to Kurnool, which was then the capital of the newly-formed Andhra Pradesh. At 77, after serving under every chief minister preceding N. Chandrababu Naidu, Luther, an author and historian, recalls the schism that has always existed between the people of Telangana and the rest of Andhra Pradesh. “Their hearts never met,” says Luther, recalling the lunch room in the secretariat 50 years ago where Telangana and Andhra officers sat and ate separately and exchanged derogatory references about each other. The Andhraites would go on about how Telanganaites were lazy, lacked any work ethic and were nawabi in their attitude. The Telangana ones, on the other hand, perceived the Andhraites as ill-mannered and discourteous. Though stereotypes, these epithets have persisted in the conversations and consciousness of both parties, tripping easily off their tongues at the slightest social situation. It is, therefore, only too easy to imagine the tension that has escalated between the people of the two regions after the midnight of December 9 when the Centre, rattled by Telangana Rashtriya Samiti (TRS) chief K. Chandrasekhar Rao’s 11-day fast, gave in, at least provisionally, to the demand for a separate Telangana state. It set the political climate on a high flame; politicians once supportive of the Telangana cause—such as Telugu Desam Party (TDP) chief Chandrababu Naidu and Praja Rajyam Party (PRP) leader, film star Chiranjeevi—had to do a complete about-turn. Junking the pro-Telangana stance they adopted as recently as the April 2009 assembly polls, they started rooting for a united AP. Chiranjeevi, in fact, bore some of the brunt of Telangana ire against those opposed to any splitting of AP, when theatres showing his films, or those featuring his son Ramcharan Tej and others from his extended family, were targeted.